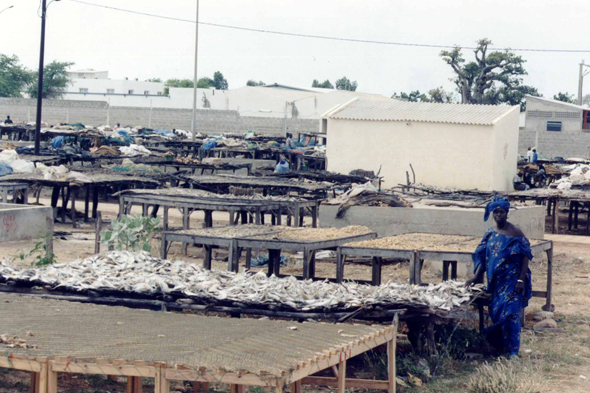 Dried fishes near Nianing. The cold current of the Canaries and the hot equatorial countercurrent cross at broad coasts. They transform Senegalese territorial waters into paradise for the fishermen.